Colleagues and friends mourn the passing of Kent Pullen. Strong action to combat violent and dangerous criminals. A sound transportation system that will actually reduce traffic congestion and will be fair to rural residents. Land use planning that is more sensitive to the needs of people rather than the whims of bureaucrats. A fiscally responsible, balanced budget. Ethics, honesty, and responsiveness at all levels of county government. A vigorous economy with quality, family wage jobs. Social services that are better administered in order to respond to those truly in need. 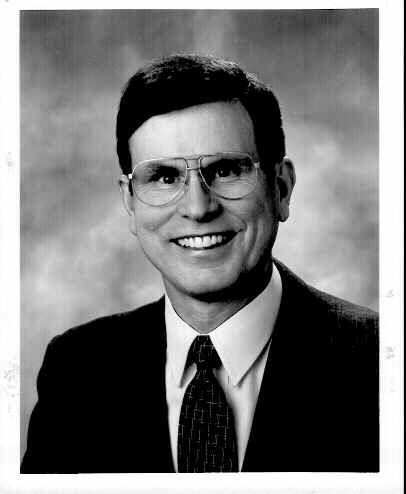 Elected to State House of Representatives, 1972; elected to State Senate, 1974; re-elected State Senator, 1978, 1982, and 1986; elected to King County Council, 1989 and re-elected to King County Council in 1993 and 1997. As a State Senator in 1988 and 1989, Kent Pullen was the Chairman of the Law & Justice Committee. He successfully prime-sponsored numerous bills into law to toughen penalties against violent criminals and to hold all criminals accountable for their actions. He also successfully prime-sponsored a major constitutional amendment that guaranteed and protected the rights of victims of crime, and this constitutional amendment was overwhelmingly approved by the voters. In the three consecutive King County elections, the Municipal League rated him Outstanding, Outstanding, and Very Good. He was elected by his colleagues to be the first-ever Chairman of the newly constituted Metropolitan King County Council, and he served as its Chair for two years from 1994 to 1996. He subsequently served as the Chairman of the Law, Justice, and Human Services Committee. He is presently Chairman of the Management, Labor, and Customer Services Committee. During his tenure as King County Councilman, Kent Pullen successfully sponsored legislation to implement many needed reforms, including legislation to give citizens better access to a more responsive county government, to improve public safety, to hold dangerous criminals accountable for their actions, to protect victims of crime, to toughen the county's ethics code, to achieve housing that is more affordable, and to improve our public health system. Married 37 years with two children. Graduate of University of Washington (Ph.D., 1967). Assistant Professor of Chemistry, University of Idaho, 1967-68. Former councilman in Seattle Professional Engineering Employees Association (SPEEA). Member of Mountaineers and various sportsmen's groups. "He's a principled politician .... Pullen is not a typical lawmaker .... Above all, he is independent. Tied only to an unwavering political philosophy, he won't trade his vote for any reason." -- Article by political reporter Walter Hatch of the Bellevue Journal-American, April 14, 1982. "The citizens can count on Kent Pullen for proven leadership. Kent has always fought hard for his constituents. He has provided outstanding leadership with positive results." -- Eric Robertson, former State Representative, May 14, 1997. "We need Kent Pullen on the King County Council to provide principled leadership and to strike the right balance between public safety, necessary county services, and conservative fiscal management. Kent Pullen is an exceptional leader." -- King County Prosecuting Attorney Norm Maleng, May 15, 1997. "Kent Pullen is a man of uncompromising integrity, absolute reliability, and astute judgment. He has demonstrated a willingness to tackle and resolve difficult issues, regardless of political costs." -- State Representative Jack Cairnes, May 19, 1997. "Pullen wins ... due to his determined and effective posture of representing individual rights and 'the little guy.' His efforts on behalf of constituents who've been hit or hurt by bureaucracy and 'the system' are ceaseless .... Pullen insists upon going by the rules, by the Constitution, by what's fair ...." -- Editorial by the Kent News-Journal and Renton Record-Chronicle, October 28, 1982. "Kent Pullen is a tenacious fighter for the things he believes in. He is firmly committed to his community and its people. He is an exemplary citizen legislator." -- Dan Evans, former Governor and U.S. Senator, September 25, 1986. "I have had many opportunities during my life to witness courage, dedication, and commitment, and Kent Pullen has all of these qualities." -- Leo Thorsness, former State Senator, June 12, 1989. "Councilman Kent Pullen has a truly successful record in getting legislation adopted to hold violent criminals accountable for their actions. Also, Kent Pullen has shown outstanding leadership in the battle to protect the rights of victims of crime." -- Ken Eikenberry, former Attorney General, September 1, 1993. "As Chairman of the Law & Justice Committee of the County Council, Kent Pullen has achieved an extraordinary record in protecting the safety of us, our children, and our grandchildren." -- Mike Patrick, former State Senator and retired police officer, July 31, 1993. "Residents of unincorporated King County are especially clear about ... Councilman Kent Pullen, representing the 9th District, is the champion of the little guy." -- Article by Helen E. Jung of The Seattle Times, March 17, 1993. "On January 15, 1988, political reporter Scott Wilson of the Tacoma News Tribune wrote about Kent Pullen (who was then a State Senator), 'Even critics say he has the most brilliant mind in the Senate.' Two months later on March 20, 1988, political reporter Mike Ullmann of the Bellevue Journal-American wrote, 'Pullen ... is respected as one of the smartest, and hardest-working, members of the Senate.' Now, several years later, we are fortunate to have Kent Pullen as one of the brightest, hardest-working, and most accomplished members of the King County Council. Kent uses all of his talents in truly representing the people." -- State Senator Pam Roach, June 22, 1993. "The accolades Kent Pullen received this week for his two years as chairman of the Metropolitan King County Council were most deserving. Aside from policy accomplishments, what stands out most about Pullen's chairmanship was the dignified way he conducted himself. Shepherding a Republican takeover of the reins of legislative power with a minimum of rancor was no small accomplishment. In a body that has become increasingly politicized in recent years, Pullen earned the esteem of not only his fellow Republicans, but Democratic council members as well. County Executive Gary Locke, a Democrat, spoke for many when he praised Pullen's 'graciousness and courteousness' in dealing with everyone with whom he came in contact as chairman." -- Editorial by Valley Daily News, January 4, 1996. Send mail to merrily@msn.com with questions or comments about this web site.